Freebie Friday – 100,000 Page Hits and Counting! Welcome to Freebie Friday! Today I’m in a celebratory mood because this little blog here just surpassed 100,000 page hits. Wahoo! 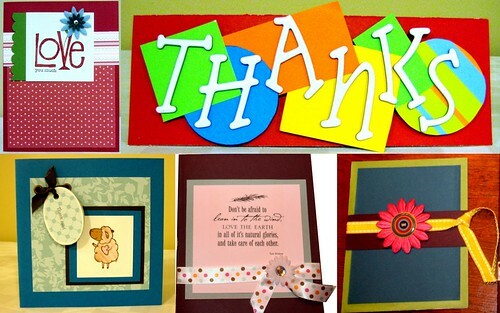 Thanks to all of you who keep coming back for your daily dose of Paper Crafts! In the four short months since we launched Paper Crafts Connection, we’ve proudly brought you 85 posts that have generated 7,575 comments. I’m no mathematician, but I’d say those numbers are pretty darn good! And just when I think I can’t possibly come up with another blog topic, inspiration comes knocking on my door and I’m compelled to share it with you, my Paper Crafts friends. I so enjoyed reading all of your comments from Cath’s Ready? Set! Access! post last week. Most of you said your favorite way to access Paper Crafts is by picking up the actual magazine and devouring each and every page. Some of you even admit to drooling! 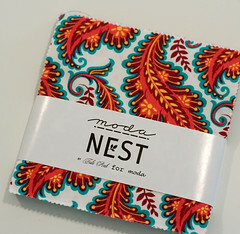 And in between issues, you bide your time by reading blogs for inspiration and participating in fun design challenges like those offered on Cath’s Moxie Fab World blog. Cute side note about our cute Cath. Even though she can have as many free issues as she wants, she also has a subscription. I’m totally serious! She says there’s nothing cooler than opening her mailbox and seeing her shiny new issue smiling back at her. She says it’s like having six mini Christmases all year round! Plus, how many of us can look our postman in the eye and say, “You know what, I helped make that magazine.” I have no idea if she really does this, but if she wanted to, she could totally get away with it! Should we get on with today’s giveaway?! Since I’m in such a good mood over our blog’s page hit achievement, I’m giving away Melissa Frances’ Ambiente page kit to TWO random winners! Each kit comes with gorgeous paper, stickers, embellishments, ribbon, rub-ons and and a clear stamp set that’s perfect for every celebration in life. 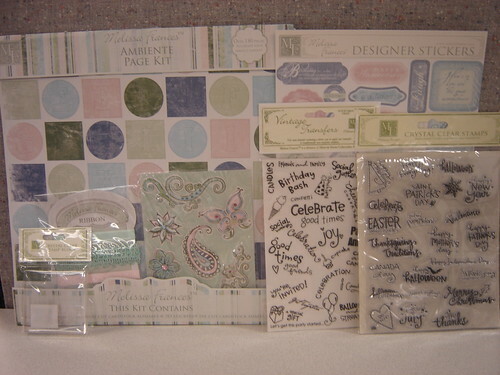 Two winners will have fun celebrating with Melissa Frances' Ambiente page kit! Leave a comment telling me your favorite way to celebrate. All comments must be received by midnight (MST) on Sunday, May 31. I’ll announce the two lucky winners on Monday’s blog. Here’s to 100,000 more page hits! Congrats, ladies! 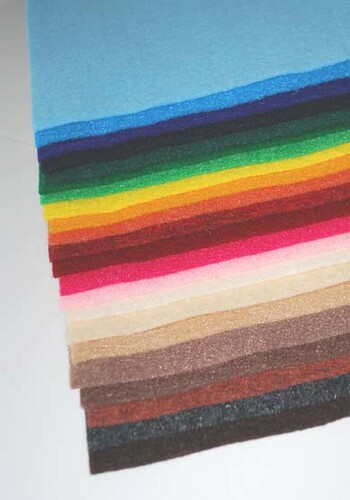 Each of you will receive a selection of felt from Sue’s own colorful stash. I’ll be e-mailing you shortly for your mailing addresses. Thanks to all who left comments! If you’ve ever submitted a creation for publication in a magazine, you know that it’s an exciting, exhilarating, fun, and sometimes frustrating and mysterious experience. I hear you! I’ve been on the other side of the submissions game, and I was always looking for tips to make my chances even better. Submit at the right place – We have a brand new way to submit, so from henceforth, head here when you want to submit to our magazine. This link on our blog will take you exactly where you need to go. Read everything – Be sure to read through the instructions and follow them. Give the information necessary – Once you begin the submissions process, take some time to fill in all of the necessary info and check for accuracy. You wouldn’t want to miss out on an acceptance e-mail because you typed in an incorrect e-mail address! Meet deadlines – Carefully note the deadlines and make sure that you aren’t kicking yourself for missing out on a super fun call! Take good photographs – This may be one of the most important tips. A fantastic project may not stand out if the image sent is too dark and doesn’t do the card justice. There’s no need for a fancy camera, just try the following things to make the most of your creation! Soft, natural light from my laundry room window shows the true colors of my card. I made sure to dust before I took the picture! Choose a spot with good lighting – Natural light is your absolute best bet. I’ve found that photographing my projects in my laundry room or on the dining table by the sliding door work best for me, depending on the time of day. In these two spots there is soft and indirect natural light. Make sure that your card is facing the light directly, and avoid letting your shadow get in the way. Remove distractions from the background – We are interested in getting a look at your project, so make the card the complete focus of the photograph. Make sure that your images are not too small – A pixilated image can distort the beauty of your project. 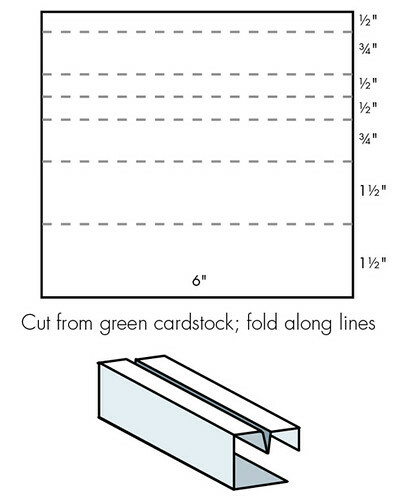 Crop the image – If you know how, crop your image so that the card/project fills the frame. 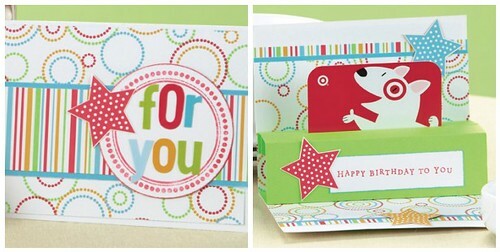 By cropping in, the card is center stage, and the natural light from the patio doors is just right. So, what are you waiting for? Put these tips into action and get in the game – yes, YOU! Anyone can submit to Paper Crafts magazine. And remember these tips are to help you, not to intimidate you. We want to see your very best work! Want to jump in and FAST? The deadline for our January/February submissions is Monday, June 1 at midnight, MDT. Check out all of the fun stuff that you can create this weekend! Patiently waiting to see your gorgeous submissions! P.S. Are you shuffling off to Buffalo this weekend for CKC? The ever fabulous Kim Kesti will be representing’ Paper Crafts and teaching fabulous and inspiring classes, one of which she designed herself! Be sure to stop her and say hello – she is pretty darn awesome! 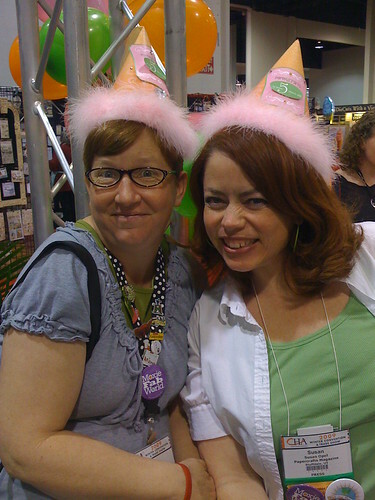 As this picture from CHA suggests, Kim and I know how to party! 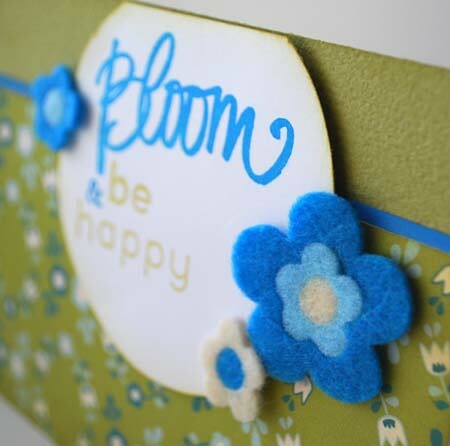 We all grew up with felt; it’s one of those fond crafting memories of childhood. It’s fuzzy, warm and comes in a rainbow of colors. You most likely have a stack of it somewhere in your own craft room. I used my Cuttlebug to cut the felt. I had to shim it with a piece of cardstock to get a nice clean cut, so be prepared to experiment a bit. 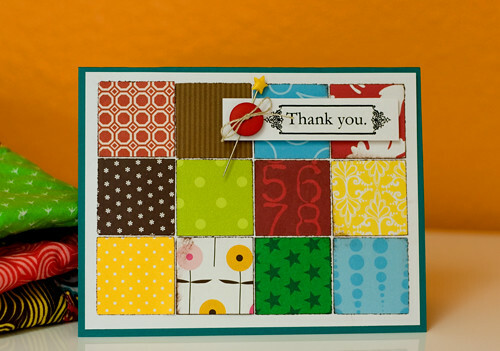 I also used this adorable new paper from Cosmo Cricket and one of the cool new Colorbox inks from Clearsnap, SURF. Leave a comment and you could win some of this fun felt! My name is Brandy and I like to make stuff. I like to make cookies. 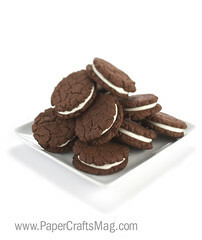 These sandwich cookies from Paper Crafts Gourmet are delicious! 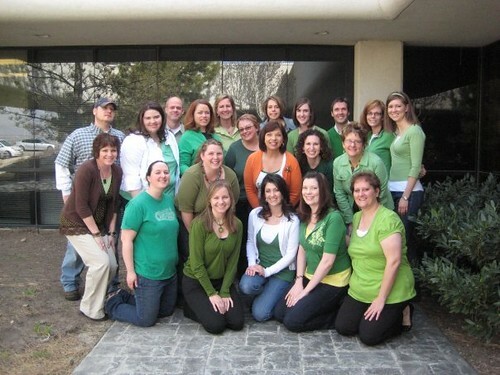 My co-workers are also my friends…am I a lucky duck or what?! A simple little card set I put together using the Craft Fair collection from American Crafts. I like to make magazines. This eco themed issue (all about saving money and the environment) is on sale today…check it out! I like to make people happy by giving them free stuff. Wanna win this stamp set from Tinkering Ink? Tell me what you like to make and you’ll automatically be entered to win this Simply Spring clear stamp set from Tinkering Ink. I’ll randomly select two winners on Friday, May 29 so drop me a line and tell your friends! Each of you will receive a red-themed prize package! Kelly will be e-mailing you shortly for your mailing addresses! Thanks to all who left so many heartwarming teacher stories! P.P.S. It’s also time to announce the winner from Cath’s Ready? Set! Access! post! Congratulations go out to Rebecca Keppel (May 19, 10:25 p.m.)! 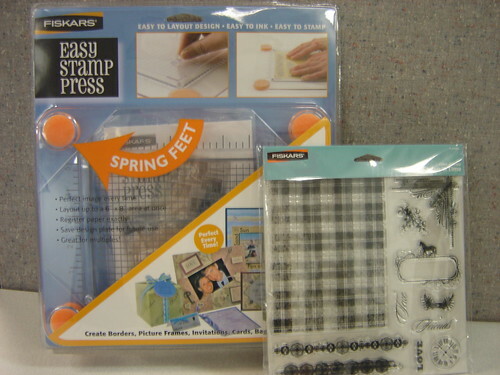 Rebecca has won an Easy Stamp Press from Fiskars along with their new clear stamp set called Tartan ‘n Time. Kelly will be e-mailing you soon, Rebecca! Thanks to all who left comments! Welcome to this Memorial Day Magazine Monday and my last blog post as your Paper Crafts design intern. While I’m sad to leave this internship behind, I’m so excited to see what the future holds for me. How many times do we fail because we’re too afraid to try? I remember my first few days here at Paper Crafts. I could barely accomplish anything because I was so intimidated by the creativity and confidence that was so obvious in everyone else! I was nervous to voice ideas, make any suggestions or even to trust my own abilities. Looking back, that was so silly! I had no reason to be intimidated, but I lost precious time doubting myself…what a waste of time! How many of us, reading this today, have been intimidated by others’ talents? On the flip side, how many of us, when we have taken a chance, have conquered that fear and been surprised by our own success? The Love You Much and Thank Ewe Cards were created by my card group pal Keila Lewis. I made the Thanks Card for my husband...he was amazing during finals week! And the two cards on the bottom right were for my amazing mom and mother-in-law for Mother's Day. Well ladies (and gentlemen), it’s time to take a step out of your comfort zone and embrace whatever is out there waiting to be created! My favorite thing about doing things I’m not comfortable with is seeing my success. I’m still learning the in’s and out’s of card making, but I’m doing it and loving every minute of it! Isn’t that what really matters? I know some of you read this blog every day and love it! (What’s not to love?) I also know many of you enjoy making cards, but are too hesitant to submit them. So here is to all of you who want to try, but just haven’t. Today is the day! Submit your cards — what do you have to lose? By the way — I would love to know that I’m not the only one out there that gets a little nervous when I am trying to create something new. Share your comments and stories; I can’t wait to read them! Everyone be sure to wish our dear Brenda a very happy birthday! Freebie Friday – One Red Hot Giveaway! Welcome to Freebie Friday! As I was reading Jennifer’s post yesterday, it had me reflecting on all the great teachers I’ve had over the years. My mom likes to tell the story of how patient my kindergarten teacher was with me. Apparently I had a fear of my lunch box. Yes, I said lunch box. I guess my tiny fingers hadn’t quite figured out the mechanics of how this locked box magically opened for others, but not for me. (I guess we didn’t cover lunch boxes in preschool!) The first few days of kindergarten were a little traumatic, but after some gentle instruction from sweet Ms. Munie, I mastered the art of opening my lunch box while the rest of the class cheered me on. With the end of the school year rapidly approaching, I’m gearing up for my cousin’s high school graduation next week. I’d love to make her a card that not only recognizes her achievement, but also leaves her feeling hopeful about her future. As I was flipping through our May/June issue, I came to a stop on p. 74. 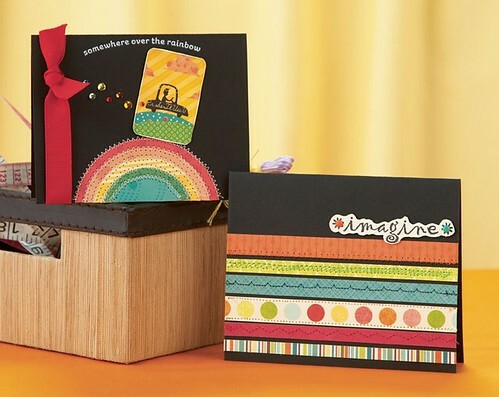 Maren Benedict’s Over the Rainbow Card and Kim Kesti’s Colorful Imagination Card immediately jumped out at me. These two cards so perfectly complement each other. Both have black bases, both are dripping in every of color of the rainbow and both remind me of Ms. Dowell’s shiny jar of Skittles! 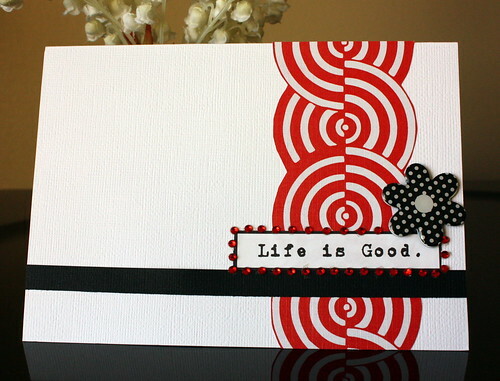 These bright cards are perfect for a new grad or an inspirational teacher. So to pay tribute to my favorite teacher and my favorite color of Skittles, I’m giving away this red-as-a-schoolhouse prize package to two lucky winners! Leave a comment telling me the name of your favorite teacher and why she/he was so inspirational. All comments must be received by midnight on Sunday, May 24. The winners will be announced on Monday’s blog. 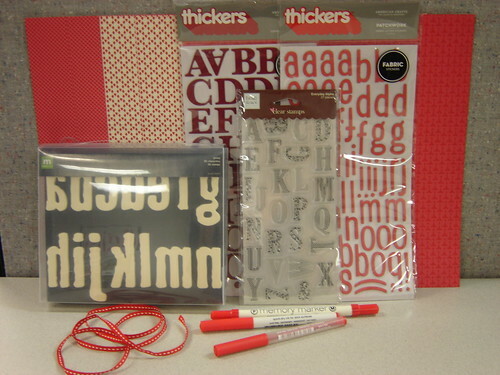 Thanks to Stampin' Up!, American Crafts, Making Memories and Heidi Grace for this red hot prize package! It’s been entertaining to listen as the former teachers around here talk about what they would be doing right now if they were still teaching and not working on our magazines. Cath, Susan, and Beth spent the majority of their adult years sharpening the intellect of students in many grades and many subjects before they landed here at Paper Crafts and Creating Keepsakes magazines. I’m sure the end of the school year brought a feeling of eagerness to recharge their batteries, coupled with the satisfaction of sending their giddy students tumbling headlong into the summer with a brain full of new and exciting information. It’s unfortunate that influencing young lives in such profound ways seems completely unrewarded by the historically low salaries teachers earn. Although magazine editors aren’t much higher on the pay scale than teachers (but the dream job factor is certainly higher! ), I like to give my kids’ teachers something at the end of the school year to show that I appreciate all they do. I sure don’t want to add to a collection of dust-gathering trinkets (coffee mugs, keychains, anything with an apple on it…), so this is one of the few times I know the perfect answer is a gift card. And thanks to our most recent special issue 225 Cards & Gifts, I’ve got so many options for adding a handmade touch to the gift card holder that will help me convey just how much I do care and appreciate them. By changing the sentiments, this design can be anything you need it to be! I’m going to replace “for you” with “thank you” and on the inside, “Happy birthday to you” will become “The best teachers teach from the heart, not from the book.” And I just happen to have this super cute paper stack from Die Cuts With a View that will be perfect for a design honoring a teacher. Some people believe that the three biggest reasons to become a teacher are June, July and August, and I say it is a well-deserved break. So to all the teachers who work so hard each day in the special job they have, a heartfelt “thank you!” to all of you! With the Pros Wednesday – How Crafty Are You? Although I’m a diehard paper crafter, I do enjoy other types of crafts, too. I’ve tried knitting, crochet (didn’t do too well with that one), painting and woodworking. None of those stuck with for too long; except for sewing. I love to sew. Lately, I’ve returned to making baby quilts. They are great because they are small and easy to finish. Care to see my latest project? I recently discovered “charm packs”. At my lqs (local quilt shop) these are available in a variety of fabrics and colors. 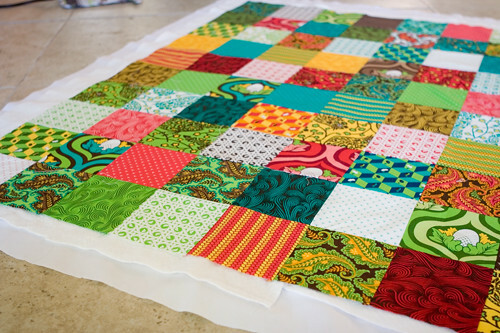 A charm pack is a set of 40 precut squares of fabric ready to stitch together. Since I wanted a standard size baby quilt, I picked up two of these packs for a total of 80 squares. I randomly stitched them together in ten rows of eight. Next, I layered my quilt top with a thin cotton batting and a solid white backing. 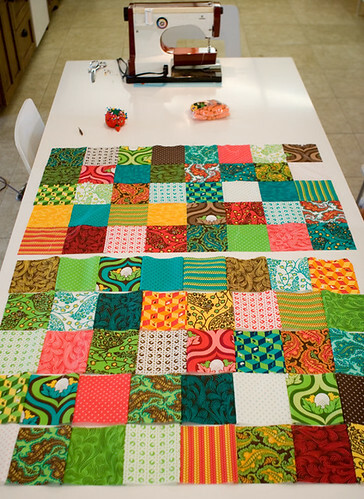 After machine quilting all along the seams, I added a coordinating fabric binding. Didn’t it turn out cute? The more I looked at it, the more inspired I became. “Do you know what?” I said to myself, “This would make a great card.” What can I say? It usually comes back to paper crafting after all. Each of you will receive a copy of our brand new July/August issue! Kelly will be e-mailing you shortly for your mailing addresses! Each of you has won a copy of Stamp It! Cards! Kelly will be e-mailing you shortly for your mailing addresses. Thanks to all who left so many great comments for Dawn! I’m coming up to my four-year anniversary as creative editor here at good ol’ Paper Crafts magazine and I’m amazed at how much things have changed in that amount of time. One of the most obvious changes has been in our staff. I miss Stacy, Jennafer, Megan, Junko, Neko, and Marissa, but I love working with Brandy, Susan, Kelly, Matt, and Jennifer. Brenda and Stace have been here since before I arrived—and thank goodness for them! They are the keepers of our history and we turn to them often for continuity as we grow our brand. But perhaps the biggest change I’ve seen in the four years since I started here is in the many ways you can access Paper Crafts magazine and the people who put it together. Like this fun blog, in point of fact. Here you get to go behind-the-scenes, get important info, get to know our Paper Crafts Pros, win prizes, and participate in super fun challenges with the winning projects being posted for all to see. 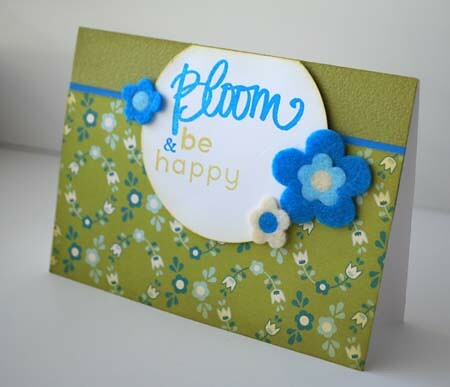 Our other blog, Moxie Fab World, focuses on the trends in paper crafting. It’s a spot for inspiration, contests, Q&As with your favorite designers, and lots of chances to win fun prizes. In addition, all of the editors and most of our Pros have their own personal blogs, so you can get to know what really makes us tick. We’ve also got a group on Facebook. You can become a fan or join our group and receive updates and hot bits of news. I like this type of access because it’s an instantaneous reminder of the fun things we’ve got going on here at Paper Crafts. And of course, you can become a friend of all of us editors on Facebook, too—just look us up and ask! We’ve even got a new, slick way to submit your projects to our calls. We’ve got a call out right now for our January/February 2010 issue, so why don’t you give it a try by clicking here. Talk about access—we publish brand spanking new designers in every issue, maybe one of them will be you! You can enter our sweepstakes contests in every issue, download cool sentiments and patterns, check out our online bonus projects, and soon you’ll be able to upload your cards to our World Card Making Day web site. You can email your questions for our Pros here, you can give us feedback here, and you can comment today on your favorite way to access Paper Crafts magazine! Leave a comment by midnight MST on Wednesday, May 20 and I’ll select one random winner to receive an Easy Stamp Press from Fiskars along with their new clear stamp set called Tartan ‘n Time. Will you be the lucky one to take this home? Maybe, like me, your favorite way to access Paper Crafts is by finding it in your mailbox and flipping through its pages. Whatever your preference, we sure are glad you’ve found us, for without you it just wouldn’t be the same. Welcome to Magazine Monday! 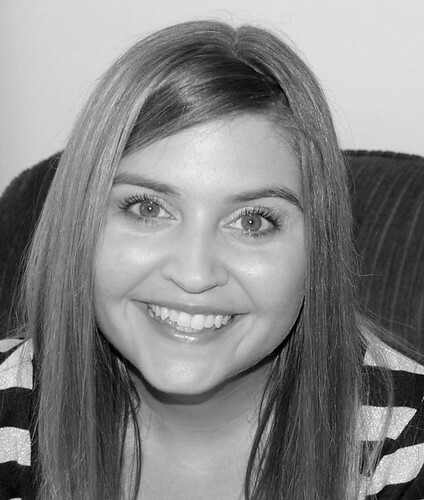 Today we’re spotlighting the super talented and super sweet Dawn McVey. 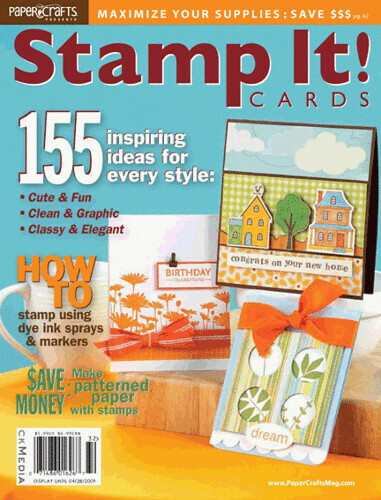 This stampy chic recently graced the cover of Stamp It! Cards with one of her five fantastic projects in this publication (see picture below). Dawn got into paper crafting by making cards for her friends and family. After awhile they started asking if they could purchase them. Two short years later she had sold 2,000 cards! And since then, she hasn’t stopped! Her resume of published projects is nearing 100! So without further ado, let’s get to know Dawn McVey a little bit better! 1. 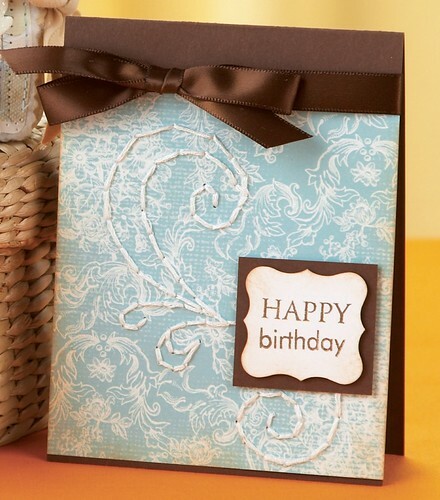 What is your favorite thing to paper craft and why? Definitely cards because they’re a bit of instant gratification. They don’t take a super long time to create and as a bonus, you’ll feel awesome when you give them away! 2. What is your most difficult paper crafting challenge? My most difficult challenge these days is just finding enough time to get all of the things made that I’d like to. I work full-time besides all of the paper crafting I do, so I find that I have to manage my time wisely in order to not miss a magazine call…or a birthday! 3. 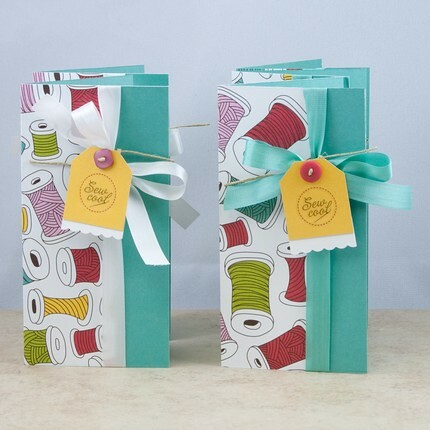 What is your favorite paper crafting supply? Well, I’ve always been a paper girl at heart, but I do have to say that in recent years, I’ve developed quite a love of stamps as well. You can just do so much with both! 4. Name three Paper Crafts designers whose styles you like and tell me why they appeal to you. I have loved Nichole Heady’s style for years…clean & classic. I love how even her ‘fun’ cards have a sophistication about them. So classy! Melissa Phillips is a designer whose style I absolutely love because her designs are so soft and wispy and dreamy. Each one is a little masterpiece filled with so many eye-catching details! 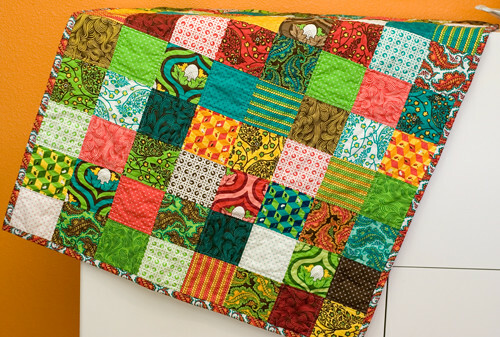 And I love Betsy Veldman’s work for her use of bright colors and fun color combos. She creates such cheery works of art that I can’t help but smile when I see them! 5. You’ve had the opportunity to work with a number of different publications. How do you keep yourself organized? I have a large bulletin board in my studio where I post all of the current calls I’m working on, in order of their deadlines, so I can see them at a quick glance. And I also have a to-do list in my iPhone that I keep updated with everything that I need to get done in priority order, so that wherever I am, I can always check and see what’s next on the agenda when I get back in my studio. 6. Do you have any advice for someone who’s never been published or who wants to try submitting for the first time? Submit, submit, submit! You’ll never get published if you don’t start submitting! And beyond that, pay close attention to details…both in the work that you’re submitting, as well as in how each magazine handles submissions. You want to be sure and submit your best work and follow directions for how to submit properly. That’s your best chance at getting a project accepted. 7. What design teams are you on? 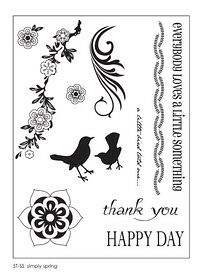 I’m on the design team at Papertrey Ink and I’m a stamp designer for Papertrey as well. I think my style is generally pretty clean and simple. And definitely colorful and cheery! 9. 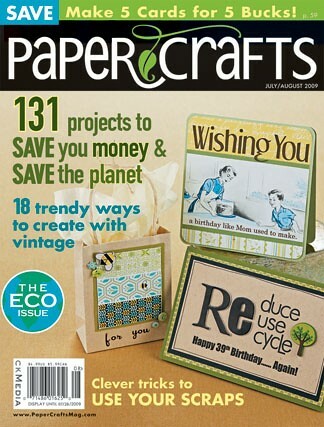 What do you like about working with Paper Crafts magazine? Here's Dawn's bright and cheery Connect the Dots Card from our May/June issue. And here's Dawn's elegant Happy Birthday Card, also from May/June. So hopefully you’ve enjoyed getting to know Dawn McVey a little bit better. Since Dawn and stamping go hand in hand, why not learn from the master? Leave a comment for Dawn and three lucky winners will each take home a copy of Stamp It! Cards. Dawn's cover project is the orange Birthday Celebrations Card. All comments must be received by midnight on Tuesday, May 19. The winners will be announced on Wednesday’s blog. Congrats, ladies! Each of you has won the holiday-inspired prize package from Papertrey Ink! I will be e-mailing you shortly for your mailing addresses. Thanks to all who left so many great procrastination stories!